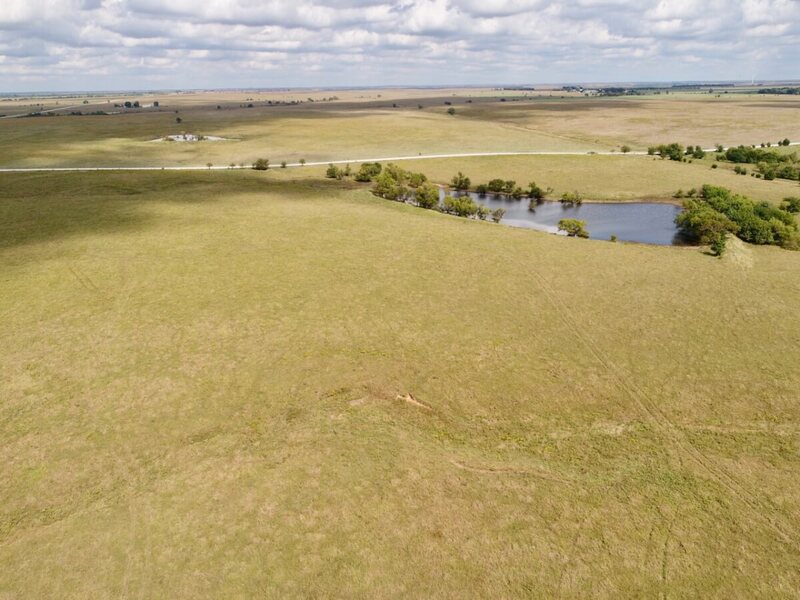 PROPERTY DESCRIPTION: 161.6 taxable acres of excellent Flint Hills pasture. There are 2 ponds and very little timber or brush. Access is provided by blacktop road on the West and township gravel road on the North. Current use is livestock grazing. LEGAL DESCRIPTION: All that part of the NW/4 lying West of the right of way of the St. Louis-San Francisco Railway Company AND All that part of the NE/4 SW/4 lying West of the right of way of the St. Louis-San Francisco Railway Company AND That part of the W/2 SW/4 described as beginning at a point 755 feet East of the NW Corner of said W/2 of SW/4; Thence running East to the NE Corner of said W/2 of SW/4; Thence South 1,070 feet; Thence West to a point due South of the place of beginning; Thence North 1,070 feet to the place of beginning, ALL IN Section 11, Township 29 North, Range 7 East of the 6th P.M., Butler County, Kansas. 2017 REAL ESTATE TAXES: $402.56. LAND LOCATION: North of Latham Kansas 1/5 Mile on Stoney Creek Rd. TERMS: Earnest money is $25,000 down at the conclusion of the Auction with the balance due upon Sellers submission of merchantable title and closing. Closing date shall be on or before December 7, 2018. Closing fee and title Insurance fee will be split 50/50 between Seller and Buyer. Selling subject to easements, restrictions, roadways and rights of way. This property is not selling subject to financing or inspections. Interested buyers need to view the property prior to the date of the auction and have financing available and any inspections performed prior to bidding. All pertinent information is available upon request. All announcements made the day of the auction take precedence over any other announcements or printed material.